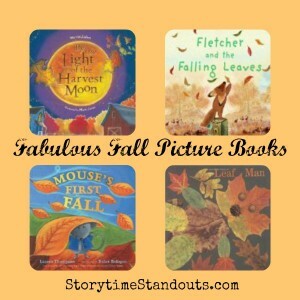 We hope you will enjoy these fabulous Fall-theme picture books with children and inspire them to create their own beautiful autumn-theme artwork. Isn’t it wonderful to feel the subtle changes in the weather and once again welcome the gorgeous colours of autumn? A cloud of leaves settles in the pumpkin patch. When the gusts subside, leaf people emerge from the pile. First, come grown-ups. Then come children… and then pets. 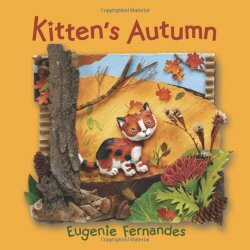 Be sure to visit our Fall Printables Page – Click here for Fall-theme writing paper, picture dictionaries, fingerplays, poems and songs for homeschool, preschool and kindergarten. 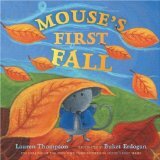 Follow Storytime Standouts’s board Fall and Halloween for Preschool and Kindergarten on Pinterest. It is nearly Canada Day (July 1) and my thoughts have turned to picture books with a decidedly “Canadian look.” This afternoon, I pulled Under a Prairie Sky off my bookshelf and spent some time enjoying the detailed, striking watercolour illustrations and the equally dramatic text. A terrific Canadian picture book read aloud for four and five year olds, Under a Prairie Sky is the story of a farm boy who aspires to be a RCMP Officer when he grows up. While harvesting wheat with his father, he is sent to find his younger brother before a storm arrives at the farm. Knowing that this is a job that will demand the detective skills of a Mounted Police Officer, he quickly changes his clothes, dons a Stetson and mounts his trusty black horse. He follows young Will’s trail through the fields and into the wild, taking in flora and fauna native to the Canadian prairies. Farm is a detailed tribute to farming and the people who do it. Best-suited to children six and up, the descriptions include interesting details and description, “Everything grows in May. The corn shoots up, high as the girl’s knees. The rows look like wet hair just after it’s combed. The farmer combs the rows with the tractor, spraying fertilizer and pesticide. Then the rows grow together and the fields become an ocean of green. The farms are like islands on the ocean. The tractors are like boats.” From tilling the soil to harvesting the corn, we move through spring, summer, and fall and observe how the crops, jobs, equipment, weather, and chores change. Did you know Storytime Standouts offers more than two hundred early childhood literacy downloads? You may be interested in some of our free printables to go along with this farming picture book. Free printable farm picture dictionary for readers and writers in kindergarten and grade one. 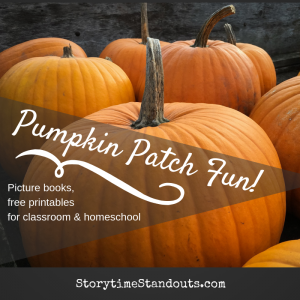 Simple farm-theme matching activity for beginning readers.